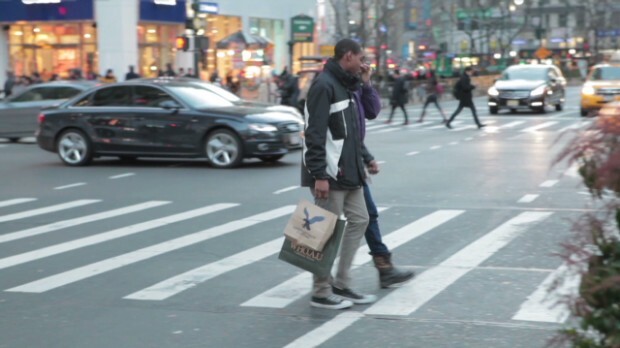 Couples shopping in New York's Herald Square say they don't always see face-to-face when it comes to spending. Erskine Bowles says averting the fiscal cliff was a step in the right direction but a missed opportunity for more substantial change. Wells Fargo Chief Economist John Silvia expects U.S. growth to slow in 2013, as increased payroll taxes cut into consumer spending. The deal Congress struck to narrowly avert the fiscal cliff includes extending tax breaks for Nascar, algae based biofuel and Hollywood. Income taxes go up, but only for the rich. Payroll taxes hiked for everyone. And government spending cuts kicked down the road. House Republican Jeff Landry says U.S. is on the road to "fiscal calamity." As longshoremen from Maine to Texas negotiate into the final days, a threatened port strike could hit U.S. retailers, truckers and farmers. From Apple after Steve Jobs to Facebook's IPO and fears over a fiscal cliff, Ali Velshi and Christine Romans look back.